A new mouse model may help researchers identify new targets for ALS. The knock-in mouse, developed by University of Cambridge’s Jemeen Sreedharan in England in collaboration with University of Massachusetts Medical Center’s Robert Brown, harbors an ALS-linked Q331K mutation in the RNA-binding protein TDP-43 (Sreedharan et al., 2008). TDP-43 pathology can be detected in the CNS in more than 95% of cases of ALS (Neumann et al., 2006). The mouse is the first knock-in model of TDP43-associated disease. Scientists presented a first glimpse of the TDP-43 knock-in mouse on November 15 at the 47th Annual Meeting of the Society of Neuroscience in Washington, D.C. The generation of knock-in mice is emerging as a key alternative to model ALS. Here, only the ALS-linked Q331K mutation is introduced into the mouse wild-type TDP-43 gene, preserving all the regulatory elements. And unlike overexpression models, there are only two copies of the gene, one on each chromosome, so that the level of expressed protein is likely to be more physiological and therefore more reflective of the disease. A research team led by Elizabeth Fisher at the University College London in England recently used this same approach to develop a mouse model of adult-onset FUS ALS to identify and characterize the earliest underlying changes that may contribute to the onset of the disease (see November 2017 news; Devoy et al., 2017). “Knock-in models are valuable because they are genetically accurate with appropriate copy number and gene regulation,” explained Amanda Duffy of Brown University in Rhode Island, who is charactering the TDP-43 Q331K knock-in mouse in Justin Fallon’s laboratory. Joshua Whitt wondered how the excitability of motor neurons changed during the course of ALS. So, working in Diane Lipscombe’s laboratory at Brown University, he turned to TDP-43Q331K knock-in mice. He focused his analysis on a subset of motor neurons in two sets of lower leg muscles, the soleus and the tibia. To determine the activity of motor neurons, he generated spinal cord slices from both wild-type and knock-in TDP-43 mice before and after symptoms, at 2 months and 6 months of age. He then recorded multiple parameters from individual motor neurons, including resting membrane potential, evoked action potential, and firing rate. There was no difference in firing rate at 2 months. But he also noted there was a large range of firing rates in all sets of motor neurons, including neurons innervating either fast-twitch or slow-twitch muscle fibres. The study remains ongoing. 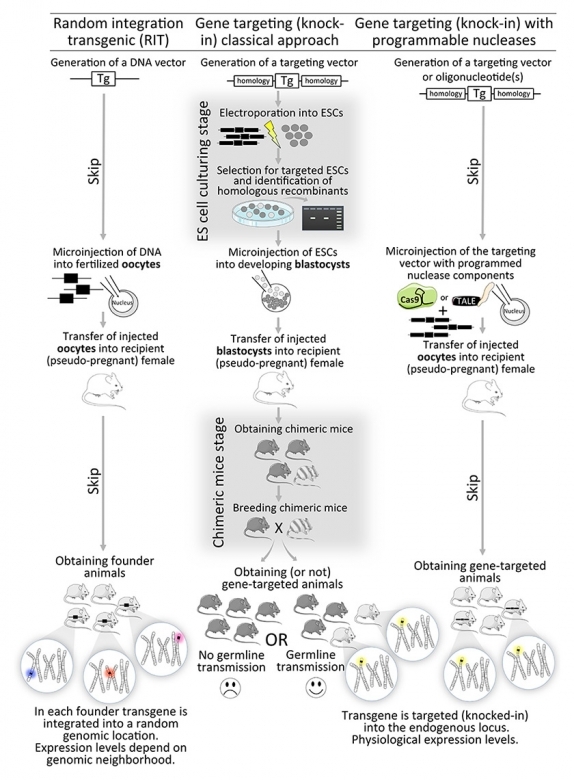 The ultimate goal, he said, is to combine this approach with a detailed behavioral analysis to develop a timeline of key changes that occur in these mice. And, therefore, identify early changes that may be targeted to develop treatments for the disease. Those behavioral analyses can be long and tedious. But a new system, first introduced by Brown University’s Thomas Serre, that combines long-term video recording with machine learning, may put an end to that (see Jhuang et al., 2010). 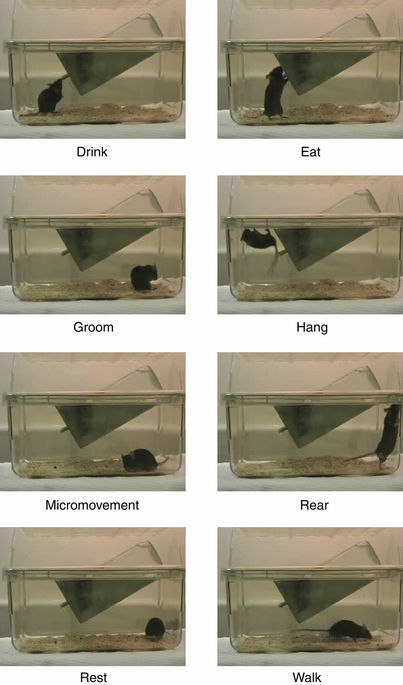 Called automated continuous behavioral monitoring (ACBM), the system records mice at 30 frames per second for 5 days at a time, and then applies an algorithm to identify and monitor key behaviors that could be affected by the disease including walking, grooming, eating and resting. The approach may enable ALS scientists to zero in quickly on early changes that could be leveraged to develop treatments for the disease. For example, each frame of a 1-hour video could take nearly a full day to analyze (Jihuang et al., 2010). Therefore, according to Fallon, to manually score one 5-day experiment involving 24 ALS model mice could take more than 7 years. The scoring accuracy, however, is 85%, similar to that of people, Duffy added. The data are archived so they can be checked and/or analyzed again to identify other behaviors that may change in the disease. Preliminary analysis, presented by Duffy at SfN 2017, indicated that the TDP-43Q331K knock-in mice exhibited motor deficits including trouble walking as early as 4 months of age. The walking deficit occurred earliest in males, and progressively worsened during the course of the disease. The findings build on preliminary studies led by Jemeen Sreedharan at the University of Cambridge in England presented earlier this month at the 2017 International Symposium on ALS/MND, which found that the mice also showed signs of FTD (see C53, White et al., 2017). Now, the researchers are using the same approach to characterize these mice before symptoms in hopes to identify early changes that could potentially be targeted in the disease. “Our long-term goal is to relate the early phenotypes observed in these models to presymptomatic abnormalities in ALS-FTD patients,” Duffy said. They are also extending their analysis to mouse models of SOD1, FUS, and C9orf72 ALS in hopes to provide further insight into other forms of the disease. They plan to generate a database of videos for use by other researchers to facilitate their own investigations. “It is of particular interest to characterize early phenotypes that are more likely to reflect the initial events in disease progression, the preferred targets for therapeutic interventions,” Fallon said. Devoy A, Kalmar B, Stewart M, Park H, Burke B, Noy SJ, Redhead Y, Humphrey J, Lo K, Jaeger J, Mejia Maza A, Sivakumar P, Bertolin C, Soraru G, Plagnol V, Greensmith L, Acevedo Arozena A, Isaacs AM, Davies B, Fratta P, Fisher EMC. Humanized mutant FUS drives progressive motor neuron degeneration without aggregation in ‘FUSDelta14’ knockin mice. Brain. 2017 Nov 1;140(11):2797-2805. [PubMed]. Jhuang H, Garrote E, Mutch J, Yu X, Khilnani V, Poggio T, Steele AD, Serre T. Automated home-cage behavioural phenotyping of mice. Nat Commun. 2010 Sep 7;1:68. [PubMed].